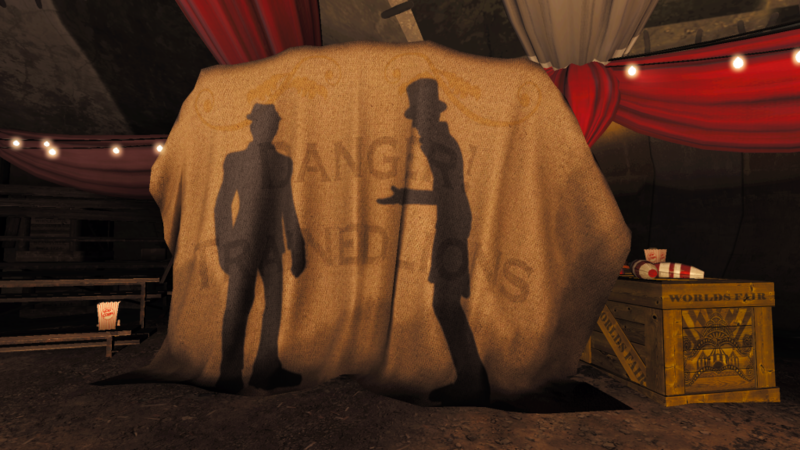 Contrast is the first endeavor by blossoming indie developer Compulsion Games—currently working on their sophomore outing and Kickstarter success, We Happy Few. Contrast first released back in the fall of 2013 for last-gen consoles and PC, but the Montreal-based studio has since worked alongside Sony to self-publish Contrast for the launch of the PS4, and it eventually appeared on Xbox One as well via the ID@Xbox program. Contrast is a stylish puzzle-platform game set in the vibrant nightscape of 1920s Paris, and the story takes place in the night’s shadows themselves. 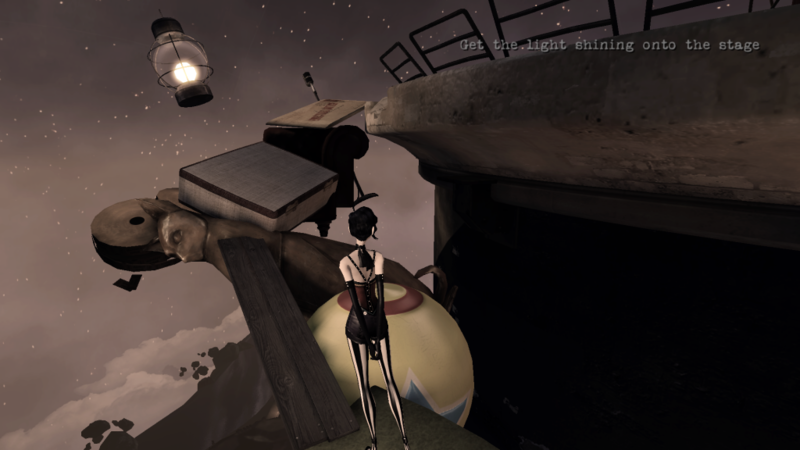 You play as Dawn—the imaginary friend of a young girl named Didi—and the shadowed, film-noir style Paris offers a tangible environment that allows players to quickly shift between the 3D world and its 2D silhouettes, where hanging ropes become a sturdy bridge, and glass walls present no obstruction. In Contrast, the question is always how to manipulate the light in your favor; without much variety in action the silhouette conceit is more one-dimensional than two. Puzzles involving the Great Vincenzo’s “Solar Machine,” or the steampunk lighthouse, fit into the game well, casting interesting shadow designs, and allowing the shadow-shifting to feel inherently innovative regardless of the game’s shortcomings. With the unquestioning loyalty of an imaginary friend, you explore a world too mature for a young girl to understand. Following Didi through the ever-crumbling town, it becomes clear that Dawn exists within the negativity of Didi’s psyche. Her detachment from her family is mirrored by Dawn’s inability to see anyone but Didi as any more than a silhouette. Much like Didi, Dawn is at her most vulnerable while in the silhouetted “real world;” the shadows of a child’s carousel become a whirling vice that may crush her at any moment. In the visible world she is mighty, crashing through walls. But the visible world is as empty as the girl’s own home, and even the most sympathetic characters are shady. Caught amidst a love triangle of vaudevillian performers is a confusing place for a little girl to be. Compulsion’s creative director Guillaume Provost tells Playstation Lifestyle that the world-shifting concept was the birth of it all, and the art style followed suit. For the story, Provost drew inspiration from Guillermo Del Toro’s film Pan’s Labyrinth, which may explain the conflicting demographic Contrast is aimed at. And much like watching Pan’s Labyrinth for the first time, I was caught off-guard by the audacity of the content in Contrast. The problem is that the narrative design is so simplistic and straightforward it does not sync with the mature audience of gamers the premise attracts. The in-game collectibles offer additional fragments of the story, but they are set in plain sight so the natural tendency is to tap on the obviously-highlighted whatever and simply carry on—to an extent where the entire game feels like a speed run. With a full play through taking only a few hours, a few extra reasons to explore the world would have been appreciated. Powered by Unreal Engine 3 and the limited budget of a new studio, Contrast provides moments of frustration when handling the shift between 2D and 3D gameplay. The movement and camera controls are rigid, wringing any fluidity out of mid-jump shifts. I found myself struggling through puzzles that I understood at first glance, simply because the controls made them harder. The pause feature is a straight-up liability; any length of inactivity—even just long enough to hit a restroom or grab a beverage—resulted in an error message and a return trip to the main menu. Since Contrast only allows game saves upon the completion of chapters, you can easily lose progress on multiple cumbersome puzzles. While the technical aspects of Contrast are trying at times, the art as a whole is worth seeing, and the dénouement is ominous and satisfying. For fans of the dark yet heartfelt, Contrast will appeal. But without any extras to go alongside its linear narrative, Contrast has little replay value to offer past its second play through. It’s tempting to suggest that Compulsion Games has come a long ways since Contrast’s initial release in 2013, but the gleefully-met We Happy Few Kickstarter budget (and its implications on replay value) may be the real solution to many of the developer’s technical stutters. Although it’s not the most ambitious title, Contrast does shows that Compulsion Games is a resourceful developer that knows how to tell a story. The Xbox 360 version was purchased by the editor for the purpose of the review. Contrast is also available on Xbox One, Playstation, and PC.